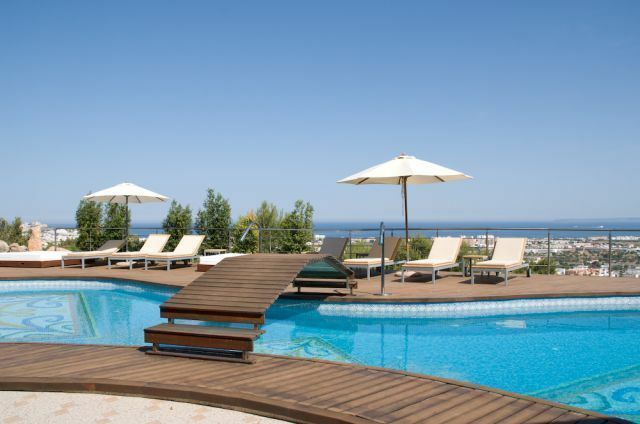 Beautiful luxury villa located on a hill in the residential area of Sa Carroca, with total privacy, security and tranquility. 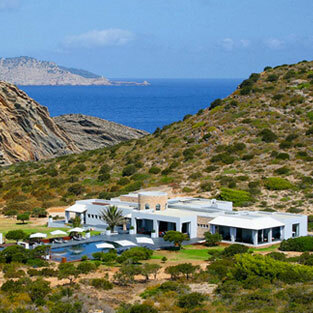 It belongs to the parish of San José, just 10 minutes from Ibiza town. It has a beautiful pool with natural waterfall, surrounded by a teak wood deck and a beautiful garden with native plants, palms and grass. Double rooms with bathroom. In the main room in the bathroom with a Jacuzzi, and several other rooms have shower with sauna. Double rooms with twin beds and bathroom. Have a fridge, TV, desk, dressing table, benches, locker room. Room: 3 seats sofar 5 each, 2 glass tables, 1 wooden table, bar, wine rack, freezer, 60-inch TV, stereo and DVD. Dining: Table for 12 people, cabinet and sideboard. Cuisine: American Refrigerator, dishwasher, ceramic hob with 5 burners, oven, microwave, industrial toaster, coffee maker, fully equipped. Terraces of the kitchen: fridge, gas cooker with 5 burners and oven. Barbecue: bar, barbecue, teak table and chairs for 6. 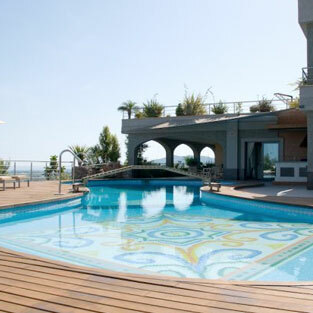 Terrace pool: large loungers and mattresses for sunbathing, 2 umbrellas, garden table with 4 benches and parasol 3m. Terrace room: teak table and chairs for 12 people. Outdoor swimming bath: washing machine and dryer.